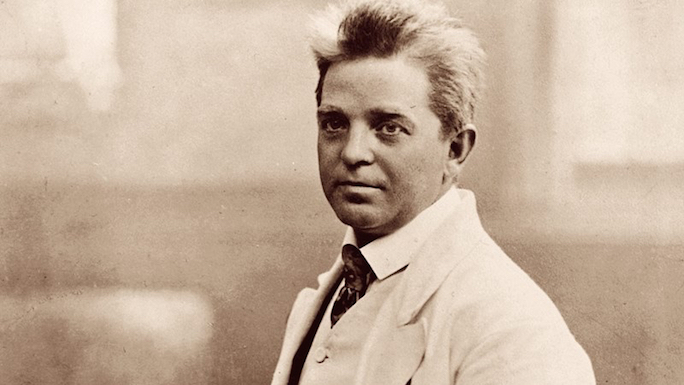 Carl Nielsen is nearly always described as Denmark’s greatest composer, and he richly deserves that recognition. This year sees his sesquicentennial anniversary (Nielsen was born in 1865). To mark the occasion, Seattle Symphony will perform his powerful Fourth Symphony, which Nielsen titled “The Inextinguishable.” The concerts, on November 12 and 14, will be led by Thomas Dausgaard, the Symphony’s Principal Guest Conductor and the composer’s distinguished compatriot. Nielsen’s was the first Danish music to attract attention internationally, and certain aspects of his work speak particularly of his homeland. One is its occasional evocation of Danish folk songs and dance tunes. Unlike the Norwegian Edvard Grieg, the Finnish Jean Sibelius, the English Ralph Vaughan Williams or the American Aaron Copland, Nielsen did not have to “discover” folk music as an adult. As a boy, he had listened to his mother sing traditional songs, and he had played violin with a local band at weddings and other events in the coastal village where he was raised. As a result, Nielsen had grown up with Danish folk music, and it was very much in his blood. Yet the most striking qualities of Nielsen’s music are neither folkloric nor suggestive of nature, and it diminishes his achievement to think of him simply as a nationalist composer. Rather, it is an exceptional individualism that distinguishes Nielsen and his work. That quality is not easy to describe. Nielsen’s harmonic palette is not especially modern for a composer working during the first third of the 20th century, yet it is quite unlike that of any other musician. Similarly, his melodic writing is in no way abstruse, yet it defies comparison or classification. Often Nielsen’s thematic ideas seem, paradoxically, at once centuries old and brand new. And his orchestration emphasizes not so much the timbre, the aural color, of each instrument as what Nielsen felt to be its special personality. For tickets to Nielsen’s Symphony No. 4, “The Inextinguishable” on November 12 and 14, click here or call 206.215.4747. For more Nielsen, join us on November 10 at the University of Washington for a free chamber concert honoring the composer.